How to become a Product Samurai? Agile transformation does not mean more effectiveness. We adopt a new way of working but what does it take to reap the benefits? How can the small (Scrum) team beat the incumbent competitor? How can a new product outgrow the companies flagship product? How can a 7 year old judoka throw a much larger and stronger opponent? 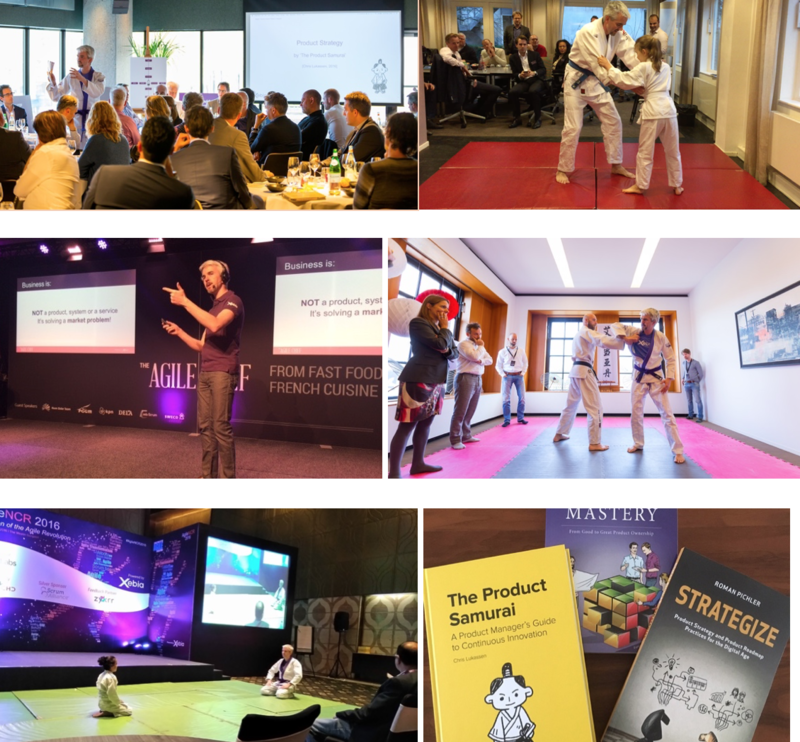 Using the principles of Judo we explore what makes Agile product development effective. We make a deep dive in the character traits and behavior of the product owner and finally we look at the environment, what do you need to build products, companies and people to dominate your competitors. I'm one of the speakers of Sport Management & doing business in Sport of Amsterdam University of Applied Sciences. This talk will offer practical solutions and insights on how to become a better Product Owner, Product Manager or anyone responsible for setting out a Product Strategy. Based on my personal experience as Product Manager, Director, Coach, Teacher (and martial artist). For it is our responsibility to save the world of crappy products and lead our teams like the Samurai.